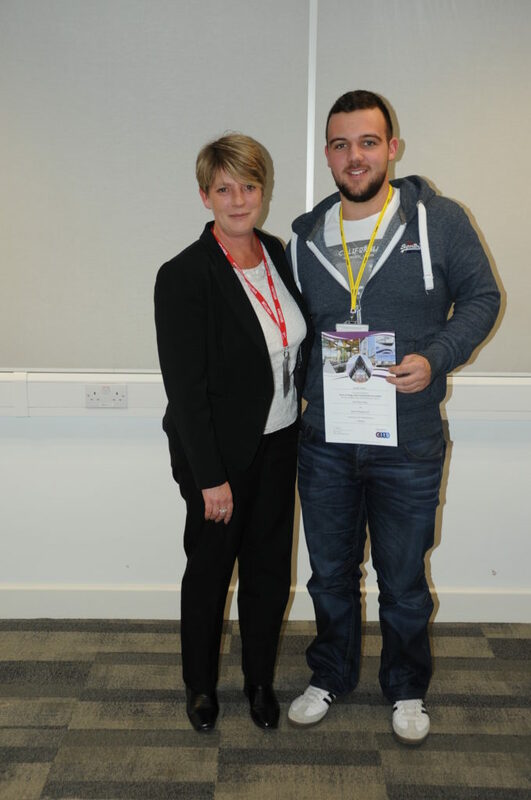 Woodhead apprentice joiner, Jaydan Mosler, has been selected by the CITB (Construction Industry Training Board) to benefit from a unique scholarship offered to just 30 apprentices across the Midlands each year. The scholarships offer financial and practical support to apprentices to recognise and celebrate their achievements. The Barry and Peggy High Scholarship Foundation was set up on behalf of a generous benefactor who worked in the construction industry for many years and wishes to give something back to rising stars in construction. West Notts College put Jaydan forward for the scholarship for his commitment to his apprenticeship and the quality of his work.Scholarships are granted to apprentices in the second or third year of training, who are working towards a Level 2 or Level 3 framework. Candidates must either be ‘shining stars’ or have overcome significant barriers to work and/or study. Each apprentice is given £500 to purchase tools from a number of suppliers (this may not be in one go but accessed as the needs arise), they will also have £500 entitlement for the purchase of IT equipment in the form of lap-top or tablet from specified suppliers. Once they have achieved their apprenticeship (Level 2) they will be given £500 and will receive the same amount on the achievement of their Level 3 advanced apprenticeship. Jaydan, who is currently working on our Smith Square site in Harworth, has just achieved his Level 2 apprenticeship and plans to complete his advanced Level 3 apprenticeship over the next year. From everyone at Woodhead congratulations Jaydan!